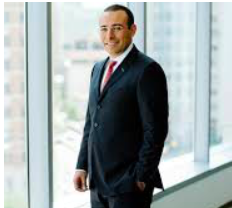 Applied Insight announced the addition of its new Chief Financial Officer Mehdi Cherqaoui, former chief operating officer and CFO of Phacil, and a strategic move of its headquarters from Ashburn to Tysons, Virginia. This is part of The Acacia Group-back company’s continued growth efforts, as it recently acquired the Applied Technology Group and Stratus Solutions, and appointed John Hynes as the new CEO. Hynes will lead the new executive team, which is focused on driving customer support, next-gen innovation collaboration and integrated corporate support. The business unit leaders are: Senior Vice President of Intelligence James Rainey who joined through the acquisition of Applied Technology Group; Senior VP of Federal Civilian Nathan Rickman who has been with Applied Insight for 12 years; and Senior VP of Defense Bill Kodzis who joined through the acquisition of Stratus. The corporate support leaders are: Cherqaoui who will be responsible for all financial operations and support the CEO in driving growth strategy; VP of Contracts, Ethics and Compliance Kim Parker who joined the company in 2018 and previously worked with Leidos’ defense and intelligence group; VP of HR Randy Carr who joined the company this year; and Senior VP of Business Development Mike Grasso who joined last year and held senior BD roles with Engility, Lockheed Martin and GE Aerospace. The innovation leaders are: Chief Technology Officer Dede Dascalu who joined through the acquisition of Stratus where he was CEO; Chief Product Officer David Boyd who also joined from Stratus where he was chief operating officer; Chief Information Officer Giuseppe “Junior” Crisafulli who has been a systems architect for the company for more than 10 years; and Senior Solutions Architect Purvesh Patel who joined the company this year from previously serving as senior systems engineer at Cloudera. Hynes said this expanded leadership team combines the mission understanding, technical expertise and operational excellence the company needs to deliver to its customers and drive growth, innovation and talent. And the new headquarters at 1850 Towers Crescent Plaza in Tysons will act as a business collaboration hub to foster research and development around big data, cybersecurity and cloud infrastructure for federal customers. According to Hynes, it’s a central location for the leadership team to be together when needed.